Marden's Ark Avian Refuge > News > Healthy Food > In Season? 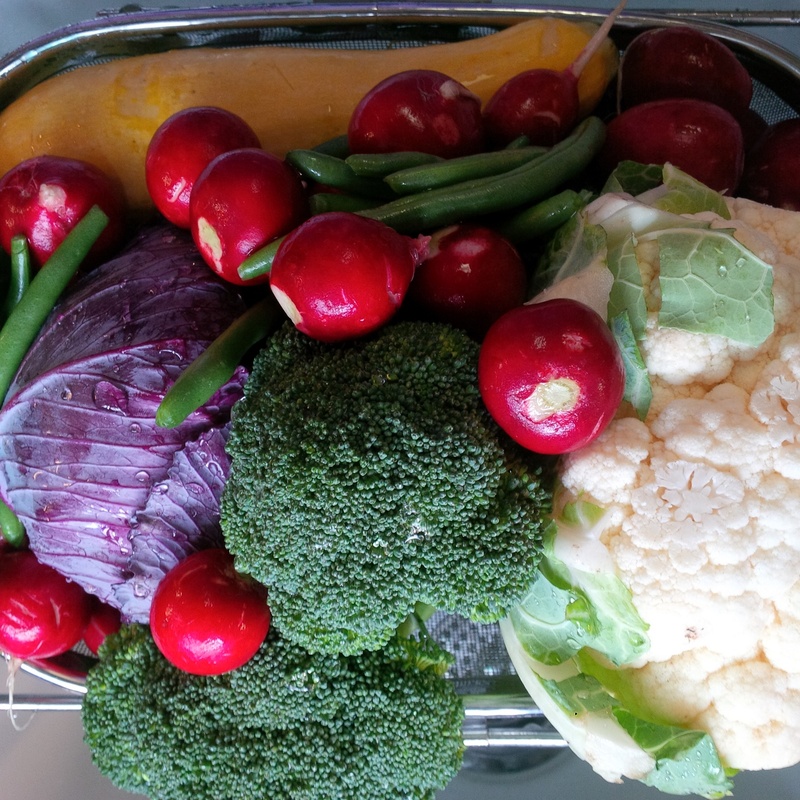 What do we mean when we say we feed “in season”? It means we focus on what it ripe now, locally. 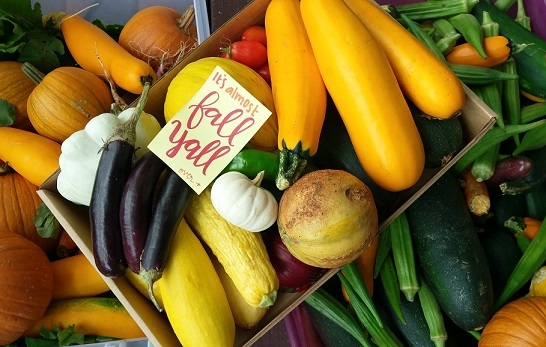 All spring and summer long, we feed what’s currently ripening as our supplier, Double B Farm, brings us literally just-picked fresh food directly from their farm. There are some advantages to this. One is that you are feeding a varied diet. While that mysterious “pellet tree” seems to provide the same old pellets with the same old ingredients year round, real food is never that boring. Spring brings baby greens, young, tender peas – packed with protein and iron – and the tenderest young roots of beets and radishes will be a delight to the palate. Summer brings tender summer squashes, kohlrabi, sweet berries and melons of all sizes and flavors. Fall brings us the hard squashes and pumpkins – rich in vitamin A and Vitamin K – as well as potassium-rich parsnips, rutabagas, apples and pears, and much more. While winter offerings are more sparse, you can often find huge stalks of Brussels sprouts which are a healthy foraging delight! Feeding seasonal has another very big advantage. 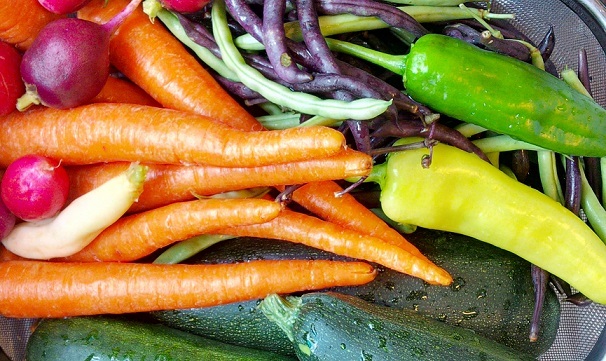 The more produce you offer from the seasonal fare, the more you can source as locally as possible. That means the food is fresher and retains more of it’s flavor and nutrients. Figs are in season right now, and we were blessed with some very tasty figs from one of the wonderful families that adopted their bird from us. We also found some lovely black figs at Sprouts, so I got enough to share in the bounty because fresh figs are a seasonal delight that I relish as much as the birds do! They are so healthy and a good way to get calcium into your bird’s diet. Each fresh fig has 35mg of calcium. 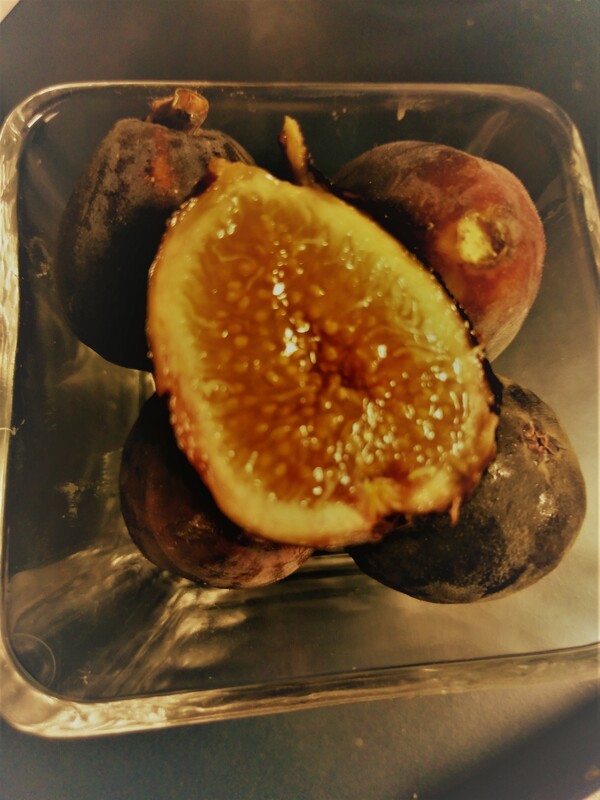 If you’ve never eaten a fresh fig, they are really not like the dried ones, less sticky sweet and with a light, fruity taste. Dried figs, because of the concentration effect caused by removing water, have a much higher amount per serving but remember that feeding dried fruits also means the concentration effect means the sugars are more concentrated because the food is now lighter due to the lack of water. It’s all about proportions, and when you reduce the amount of water, every other nutrient is more concentrated in proportion. This is not to say that feeding dried foods is bad – on the contrary. Just keep in mind that a serving of fruit should be equal to the amount of a serving that isn’t dried. In other words – two slices of banana will contain the same amount of sugar whether dried or fresh, but the dried ones will be much smaller and lighter and you may be tempted to toss in a few more to make up a “serving” – when in reality you should feed the same number of slices, regardless. It will look like your bird is getting a lot less but really they will be getting the exact same nutrition. To be continued….. watch this space for MORE….